Providing you the best range of cast iron centrifugal pump with effective & timely delivery. 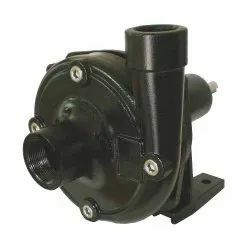 Featuring precision designed body that provides for long lasting operations, these Cast Iron Centrifugal Pump options come with SS impeller that makes it suitable for handling hot or cold liquids. Here, our expertise lies in making these available in different delivery rates, power supply options of single / three phase, high maximum operating pressures, high variations in temperature handling capabilities of pumped liquids, simplified maintenance, balanced design for smooth operations, option of providing with high temperature and chemical resistant sealing support and others. Some of the applications these are used for include for water circulation, liquid transfer; general water services and others.